Research visits from the general public to use manuscripts, photographs, or rare books must be arranged in advance. Appointments to conduct research may be made by e-mailing the Library Director at [email protected] or calling 307-578-4063. Access to the McCracken Research Library is by stairs in the Buffalo Bill Museum of the Buffalo Bill Center of the West. 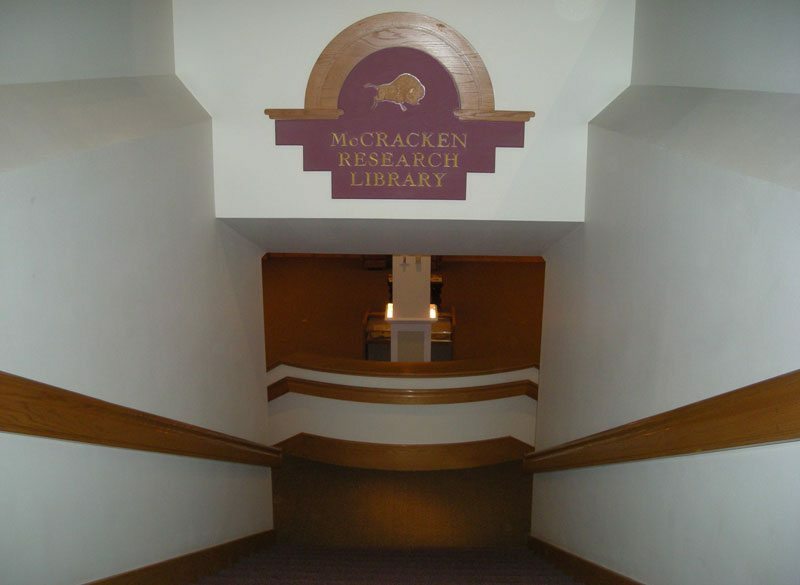 The McCracken Research Library is located on the lower level of the Buffalo Bill Center of the West. When you enter the building, please check in at the Security Station to confirm your appointment. Monday – Friday: 8 a.m. – noon and 1 – 4:45 p.m.